Hide-a-Lite 4 LED tape lighting is state-of-the-art technology for the 21st century. Use this accessory to complete your under cabinet system by creating a continuous row of illumination in hard-to-reach areas. 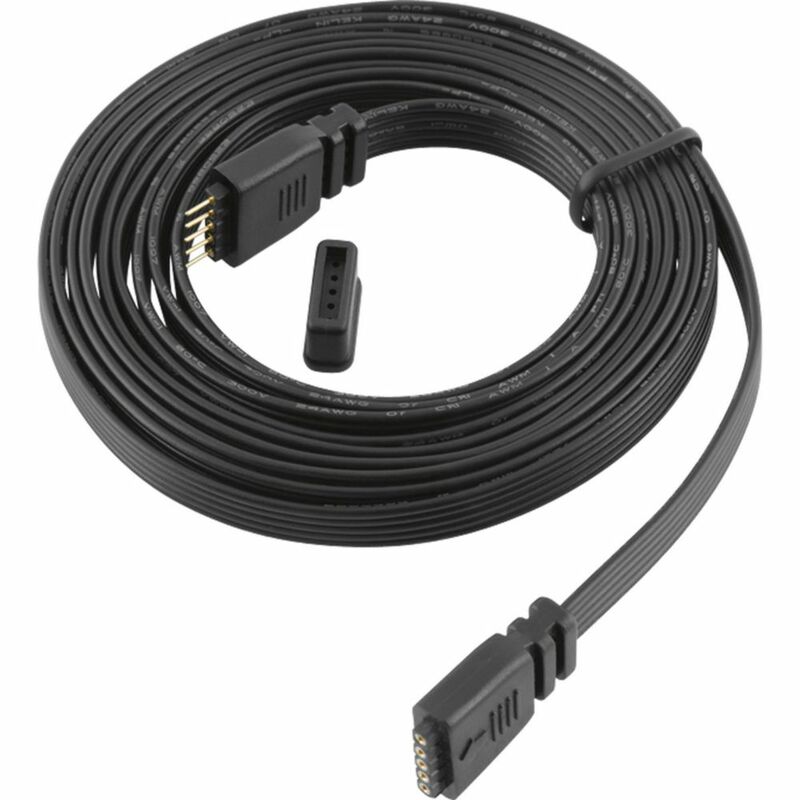 With this 8 ft. connector cord, you can link sections of tape lighting. For use only with Progress Lighting Hide-a-Lite 4 system. These Enviro LED metal pucks can be recessed or surface mounted in any direction. LEDs consume less energy and run at a cooler temperature. These pucks are ideal for accent lighting inside, under or over any cabinet, shelf or display. Due to their very low profile, they are very easy to hide even in shallow structures. Hide-A-Lite 4 Led Tape Light 8 Ft. Connector Cord Hide-a-Lite 4 LED tape lighting is state-of-the-art technology for the 21st century. Use this accessory to complete your under cabinet system by creating a continuous row of illumination in hard-to-reach areas. With this 8 ft. connector cord, you can link sections of tape lighting. For use only with Progress Lighting Hide-a-Lite 4 system.